Michael Vernon is The Professor and gaming instructor extraordinaire. Why is that? Michael discovered how extrasensory perception contributes to a successful gaming experience. His nickname, The Professor, was given to him by a P4K student, an accountant, who was especially impressed with the math behind the Playing 4 Keeps™ strategies. It is Michael’s eclectic approach, using mathematically low risk bets and what he calls, “applied metaphysics” that drives the engines of Playing 4 Keeps™. Michael Vernon has studied and played casino games since 1990. Michael has been teaching Playing 4 Keeps™ seminars for Blackjack and Craps since 1996. His passion for playing Blackjack and Craps is exceeded only by his enthusiasm to share gaming knowledge and empower others with his winning methods. 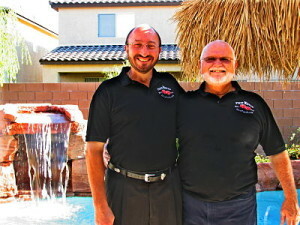 Michael Vernon has been an entrepreneur his whole life, owning six corporation. He has written and published three gaming books. He publishes his own gaming blog, newsletter, and writes articles for other gaming publications. In addition to gaming strategies, Michael teaches what he calls, “applied metaphysics”. “See what others cannot and know what others do not”. Michael and his wife live in mountains of Taos, New Mexico. Playing 4 Keeps™ is a collection of proven strategic plays, combined with metaphysical principles. Tested in live games, playing in casinos all over the world, Michael knows that Playing 4 Keeps™ is the best approach for consistent winning. Years of study, evaluating and refining play, eventually evolved into Michael’s Do’s and Don’ts of Dice ™ and Blackjack For Winners™ gaming programs. No other gaming program approaches the content, knowledge, and experience presented in Michael Vernon’s Playing 4 Keeps™ gaming programs and books. Countless Playing 4 Keeps™ participants have validated Michael’s methods for themselves. A majority of P4K students “show a profit” the very first time they take their new-found knowledge to the tables and you can too. Playing 4 Keeps™ is about empowerment! An empowered player becomes a confident winner! I teach individuals how to take charge over their game using proven strategies that result in consistent winning. Playing 4 Keeps™ provides an arsenal of gaming tools and techniques. When properly employed, these gaming tools can help level the playing field. Playing 4 Keeps™ is all about playing with confidence, playing with consistency, and winning with discipline by applying P4K strategies. In my programs you will get a complete package and a whole lot more. Success at the table has everything to do with your beliefs about winning and losing. Michael gave me perhaps 3-4 pearls during our time together. He showed me how to “anchor” my tossing hand so I could build better consistency in my tosses. This has been of enormous value to date. He tweaked my preferred method of betting adding in to the mix the best way to handle pass line wins. I have already hit 4 great wins with this adjustment to my play. Michael exposed me to the metaphysical side of the game that I was not even paying attention to. In the most basic terms, he taught me to be AWARE of what is happening and what is ABOUT to happen. And lastly – he gave me INTENT. I quote his own words here from an email I received from him, “Results come from consistency, belief, confidence and intention.” Thanks to Michael I now have the INTENT to influence the dice every time I toss. And that intention and confidence is paying dividends. Over my last six sessions of live casino play – I have won $3200 – (over $2200 in one amazing session alone, while I was tossing the dice) – and that is using $10 starting pass line bets – just wagering properly and intelligently. Is that just dumb luck? Or perhaps was it my INTENTION to win? Warmest regards, Kevin H.
“First, allow me to salute you sir for your effort in providing a hard hitting no nonsense depictions regarding various plays. 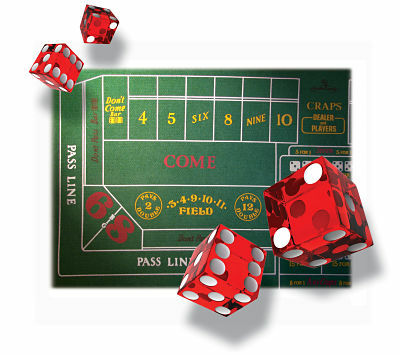 Regarding the subject of craps I’ve acquired various books from some twenty plus authors and I will say to you that your Do’s and Don’ts playbook would be ranked at the top of the books heralded for the serious player. I sure would be honored to shake your hand one day. Thank you Michal, thank you so very, very much.” Respectfully yours, John B.
Michael, what a great trip I had yesterday. I went up and played for only a few hours and took almost 2x my session units home at one casino and a fair amount at another. I did what you recommended and walked the casinos, then picked one and played for 1 hour, walked some more and played another 1.5 hours at another casino, almost the entire extra .5 hrs being my roll (busy table and over 14 rolls — I lost count). My rolls are getting better, naturals come more often on come out and box numbers seem to stick with inside numbers with the dice setting you showed me (6 on the side, not the paper chart). I’ve changed up the basic betting strategy you showed me and stick to playing in units. I made my win potential just a bit smaller but at the same time gave myself more time to play. I might do this until I can increase my bankroll to a comfortable amount. So like you said, find a strategy that I’m comfortable with, play within my bankroll and enjoy the wins. Stack’em and Rack’em is perfect! Mr. Vernon, Just a note to say thanks for the “Chronicles”. I read them with great interest there were some good things that apply to my game. I’m definitely a under funded player, I play craps at the Horseshoe in Cleveland and their table minimum is $15, which is way too steep. But using the P4K I can at least enjoy a chance to play and if I can find the “hot shooter” I’ve racked up some nice wins. Following the energy, when the table is cold, I go home early. Keep informed. Sign up to receive Playing 4 Keeps™ updates. You will be notified by email when new blogs are posted to this site. Share the post "Michael Vernon"